Can you imagine Christmas without candy canes? Typically white with red stripes and often peppermint-flavored, these cane-shaped hard candy sticks have long been as much a part of American Christmas tradition as Christmas trees and mistletoe. In fact, they have become so popular, so well-loved in our part of the world that we now even hold a “National Candy Cane Day” every December 26th, or the day after Christmas, so that we can more fully appreciate them. 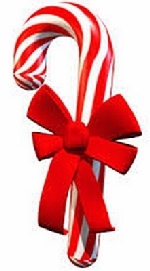 As with most Christmas traditions, there are many stories about how the candy cane came to be. 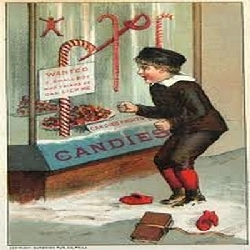 According to one favored story of origin, sometime in 1672, the then choirmaster at Cologne Cathedral in Cologne, Germany, wanting to remedy the noise caused by the naturally restless, fidgety young children who made up his choir thought of asking a local candy shop to make some hard candy sticks for them to keep them quiet during the long church services and while reenacting the Nativity scene. To prevent the priests, the parents and the rest of the congregation from getting mad at him for giving candies to the children during church worship, he came up with a clever plan. He asked the confectioner to put a crook at the end of each candy stick like that of a cane. Then he told the clergy and the congregation that the candies were meant to be a teaching tool, a way to make the children better understand the meaning of Christmas. He told them that the white color of the candy symbolizes the sin-free life of Christ while the cane shape represents the type of staffs used by the shepherds who were the first to visit the infant Savior. He also said that the candy when inverted looks like a letter “J” to stand for “Jesus.” The clergy and the congregation were of coursed pleased with the explanation and thus allowed the choirmaster to carry on with the practice. As a side note, since the hard candy sticks took long to consume, the choirmaster was able to keep his choir of little children stay quiet for long periods of time. The German immigrants brought their candy cane tradition with them to the United States. 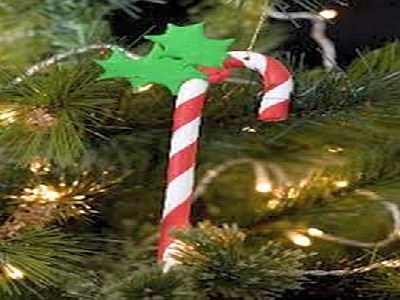 According to some accounts, an immigrant named August Imgard was the first to use the candy canes to decorate the fir tree he brought into his house in Wooster, Ohio, in 1847. Those who saw his candy ornaments liked the idea. Since then, the practice spread across the country.